York Professional Fire Fighters Assn. It is with incredible sadness that the York Professional Firefighters Association announces the passing of Firefighter Charles E. "Chuck" Hiden, who passed away suddenly this morning, Monday, September 5, 2011. Brother Hiden was appointed to the department on August 21, 2000. After attending the Harrisburg Area Community College Fire Academy, Hiden was assigned to C Platoon. Hiden worked as a swing man and then was assigned to C Platoon at Station 2. 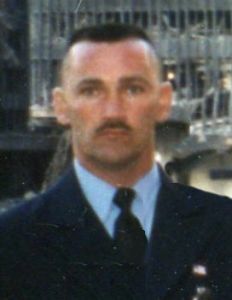 Chuck was currently assigned to C Platoon at Station 5. Hiden had served in the department's Honor and Color Guard for a number of years. Brother Hiden was a veteran of the United States Army and the Army Reserves. 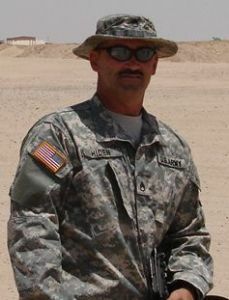 Sergeant Hiden served in Iraq as a part of Operation Iraqi Freedom in 2006-2007. Brother Hiden leaves behind a wife and two adult children. Hiden was 49 years of age. Please keep Brother Hiden's wife, family and friends in your thoughts and prayers at this most difficult time. On Friday, February 27, 2009, members of the York Professional Fire Fighters Association, the Greater York Professional Fire Fighters Association and the Manchester Township Career Fire Fighters Association delivered approximately 1,000 pounds of non-perishable food items to the York County Food Bank at 254 West Princess Street in York. The food was accumulated as the result of a joint food drive between the three associations. In these tough economic times, the membership of the three organizations teamed together to give back to the communities they serve. 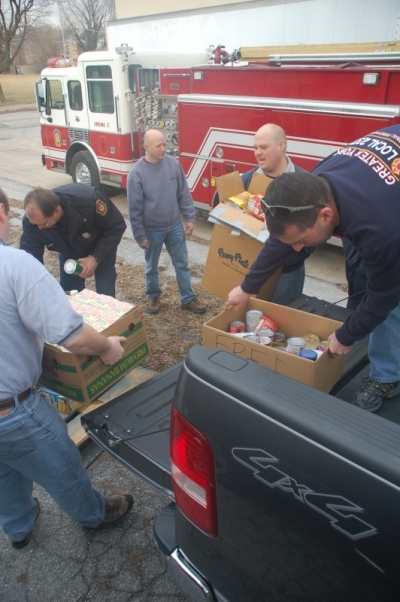 York County Food Bank staff advised that the donation could not have come at a better time. Donations are typically low in the beginning of the year, and demand over the winter months is high. 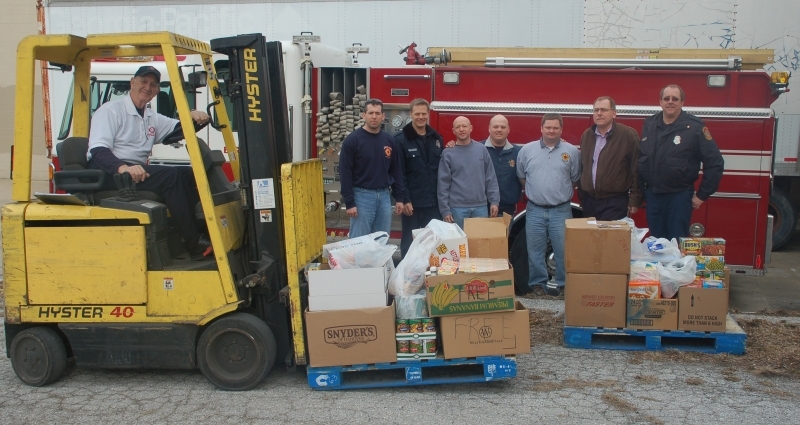 The members of the York Professional Fire Fighters Association are proud to have helped in this time of need. On January 23, 2009, Assistant Chief Richard W. Saylor retired from the York City Department of Fire/Rescue Services after more than 39 years of service. Saylor was hired by the city on November 5, 1969. Saylor was promoted to Lieutenant on May 12, 1991, and promoted to Assistant Chief on April 12, 1997. 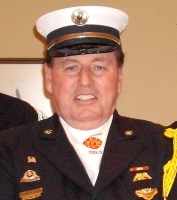 Saylor served in many positions within the York Professional Fire Fighters Association, including President, and has been instrumental in the Local's Honor and Color Guards. Saylor is an avid golfer, and we expect that he will be taking advantage of the extra time to pursue that interest. 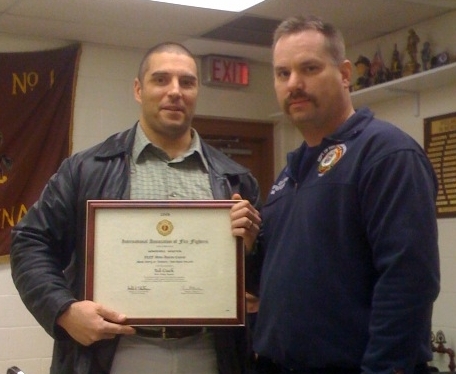 Ted Czech, a reporter with the York Daily Record, received an Honorable Mention in the 2008 IAFF Media Awards Contest. Czech, who is often seen covering local fires, penned the article "Heroes Lives on the Line" which appeared in the York Sunday News. Czech's article touched on the effect of reduced staffing on the lives of the career firefighters in York, and the injuries suffered by firefighters. The article was submitted to the IAFF Media Awards Contest by the York Professional Fire Fighters Association. Czech was presented with his Honorable Mention certificate at the January 14, 2009 meeting of the Association, which was presented to him by outgoing President William H. Sleeger, Jr. The new incoming officers of the York Professional Fire Fighters Association were sworn in at the regular monthly meeting of the association, held on Wednesday, January 14, 2009 at the Vigilant Fire Station.